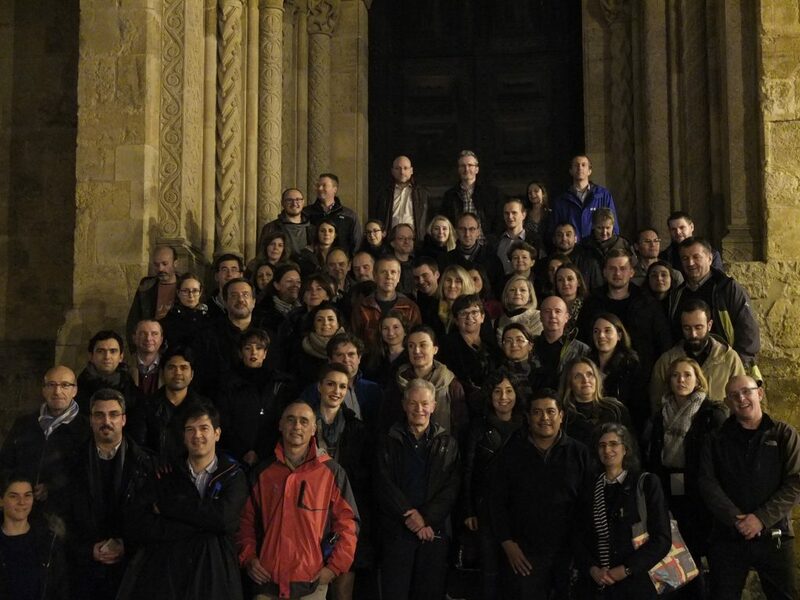 The EuroXanth COST Action held its 1st Annual Conference on “Integrating science on Xanthomonadaceae for integrated plant disease management in Europe” in Coimbra, Portugal, from 13 to 15 December 2017. The conference welcomed >80 participants and served as a platform to exchange knowledge and to share technical knowhow with respect to members of the Xanthomonadaceae family. All four topics were quite equally represented, with a slight overrepresentation of WG1. In total, 31 oral presentations were given and 15 posters were presented. The program and the abstracts are available for DOWNLOAD: EuroXanth_First Annual Conference-Abstract Book. The conference program gave ample time for interesting discussions. As the first large gathering of European scientists working on Xanthomonas and Xylella, this event can be considered as a great success of the EuroXanth COST Action. The success is also linked to the great job that was done by the organisers, Prof Joana Cardoso Costa (Instituto Pedro Nunes & Universidade de Coimbra, Portugal) and her colleagues António Portugal, Eva Garcia and Aitana Ares. Thanks a lot to all of you for your commitment! The conference was held in TecBIS in Coimbra, an outstanding example of an integrated university city with a specific urban typology as well as its own ceremonial and cultural traditions that have been kept alive through the ages. Coimbra is a town in the Center of Portugal, approximately 100 km south of Oporto and 200 km north of Lisbon. A highlight of the conference was the visit to the university and the old town of Coimbra (UNESCO World Heritage). This social gathering gave plenty of opportunities to discuss with colleagues in an informal way. No doubt that new collaborations will emerge from this event.